Mother’s Day will be here sooner than we think! 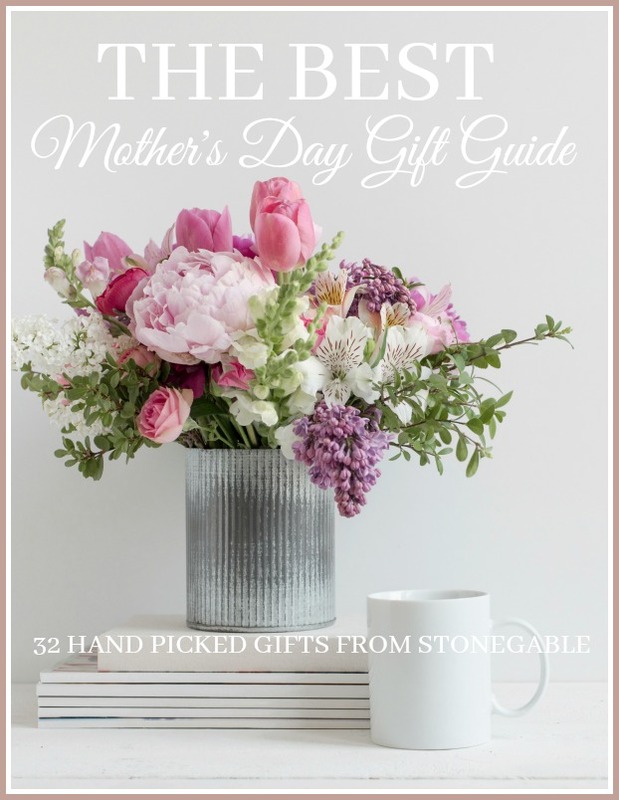 I’ve had the best time perusing beautiful sites to find unique gifts that would make any mother (including me) thrilled this Mother’s Day! Most are very very reasonably priced and all are thoughtfully picked out! I actually have a few on the list myself love them and thought you might too! So have fun window shopping and maybe you will find something for the mother, daughter, grandmother or friend in your life. And maybe you will treat yourself to something on Mother’s Day too! Today on Decorating Tips and Tricks we are talking about FINDING HIDDEN HOME STORAGE. Even the most spacious home with lots of storage seems to need more. We are chatting about ways to find and make more storage in any home… big or small! You can listen to all the podcasts HERE and see the show notes! Make sure you listen on the go with your smartphone. Find our Decorating Tips and Tricks app on the podcast app on your phone! Here’s my list for the best Mother’s Day gift for 2017! How about treating yourself to a Mother’s Day gift? I can recommend the Stay Don’t Stray concealer. I LOVE it!!!! Also, I have and recommend an Amazon Echo. You can ask Alexa to play Decorating Tips And Tricks. Our podcast is not one of the tasks on the Echo. I also have a couple of the lanterns and love them! How about treating yourself to a Mother’s Day gift? I can recommend the Stay Don’t Stray concealer. I LOVE it!!!! Also, I have and recommend an Amazon Echo. You can ask Alexa to play Decorating Tips And Tricks. Our podcast is now one of the tasks Echo like to perform! I also have a couple of the lanterns and love them! Try a darling straw hat for hot days or bad hair days or garden days. I wear mine often! You might also like the apron (so cute… see post HERE) or my favorite colognes to splash on… Amazing Grace and Fresh Cream both by Philosophy. 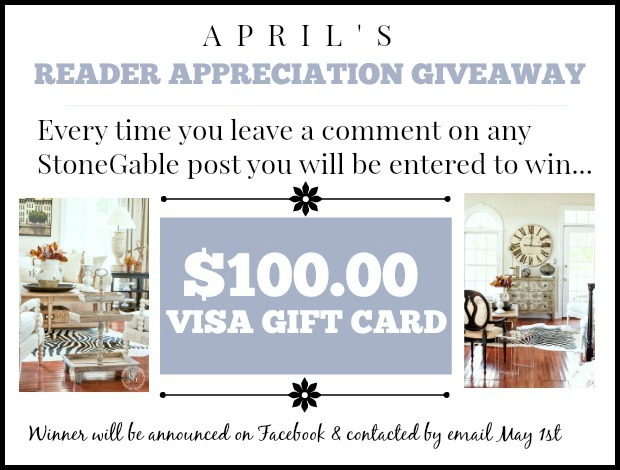 Click on the picture to get more info and go to the site! Make sure to tell the women in your life just how special they are!!!! 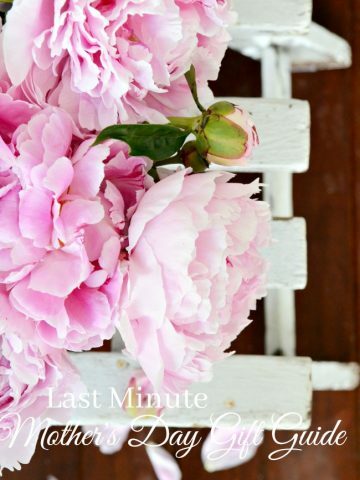 You might like to follow me on Pinterest and see all the new things I am pinning every day HERE. These are some great suggestions. I’ve worn Amazing Grace for a few years myself now and I love it. It’s a very clean and simple scent; it’s not overpowering at all. Just wanted to say I’m so excited that your podcasts are available just by asking Alexa! I just tried it out and it worked beautifully. I look forward to enjoying your expertise in this new format. Thanks! I can’t find the link to the list. Would you help me out? Thanks! I’ve clicked on every picture shown without success. Looks like lots of people are having issues. I’d really love to see the list. I have trouble with new ideas for my mom! Thank you for some great gift ideas! Thanks for all the gift ideas! Had no trouble getting to the sites….I think I will try the It cosmetic…looks like it gets some good reviews. Thanks! Thanks for the wonderful gift ideas… I’ve been MIA in commenting, as I was on vacation, then came down with this terrible flu that is going around. 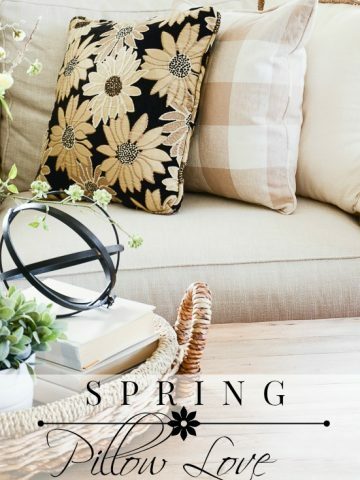 One think I am hoping to receive, that I have bought for others (including my dd and dil for Mother’s Day) is “Life in Season: Celebrate the Moments That Fill Your Heart and Home””. It’s a wonderful and beautiful book, with several ‘twists’. First, it’s a a beautiful coffee-table book.. then, a wonderful devotional, and lastly, a book filled with wonderful DIYs!!!! Who could ask for more? Oh, and quite affordable, as well. Here’s the link! Hope you don’t mind me sharing, Yvonne. Great gift ideas! Thanks for the suggestions. I love your list of Mother’s Day presents. I always have a tough time finding something that my mother will like and not return! Love the beautiful bouquet that you posted–did you create it? lovely gift ideas! I would want many of them myself! Yvonne, thank you so much for this fantastic list of Mother’s Day gifts! I went to smile.amazon.com and ordered the Amazon Dot which is the same as the Echo you have, but smaller and a lot less expensive, plus the Philiosphy Fresh Cream that sounds so luscious! When you order through the Amazon Smile site, a small % goes to the charity of your choice, which adds a wonderful benefit, in my opinion. I’m really looking forward to receiving the Dot because I’m a techie at heart but it has to be simple. So I guess I actually bought my own Mother’s Day gifts! Dot is nice but if you listen to music you really should by the Echo, a much better sound system. I have both. Woe is me… Link not working for the list. Sad. Click on the image and it should take you to the right site. I love the metal flower vase. I have also seen you something similar as a sleeve for a candle. Can these be bought or do you make them yourself? Hi Lori, click on the image and you will go to the site that has them. My mother has macular degeneration and significant hearing loss. Her former loves ( reading and puzzle books) are difficult now. She primarily stays at home in her lounging clothes or bedclothes. How about a hearing device. Have you heard of TV ears? They are fabulous for those with hearing loss. Also a great pair of lounge pants and a fun tunic. I too love Amazing Grace! Iv’e been wearing it for about 5 years now. They also have a body wash that is great too. Such a light and clean fragrance! Sorry but I also am unable to bring this up after clicking on all the pictures?? Love the tulip votives…can’t wait to order. So many wonderful ideas. I just may have to forward today’s post to my boys for ideas. I would love any of the above gifts…all are gorgeous. Thanks for your amazing gift ideas! 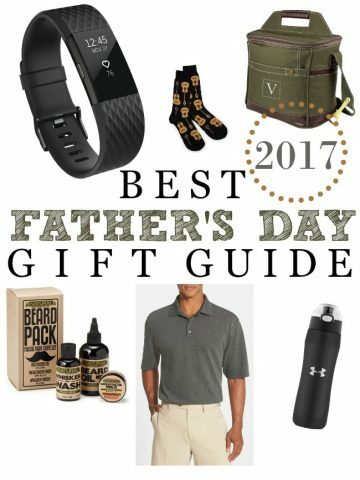 Great gift ideas,I think I love the beaded bracelet for me ! Thank you so much for all the wonderful gift ideas!!! Found so many wonderful sites that I did not realize were out there to make my gift giving easier. You are the best. Great gift suggestions. There is something for every mom! Wonderful gift ideas for Mother’s Day! I would be happy to get any or all of them! I would love to get anything on this list! I also think the iPhone covers will be a perfect gift for my son for Fathers Day with a picture of his first child who was born last week! especially LOVE the presents picked by the grandkids! Thanks for the Mothers’s Day ideas. I already have some special treats for my 90 year old mom. Yvonne you have given us so many great ideas for gift giving for Mothers Day. I found things that I am adding to my wish list. Thanks and have a great day? Hi Cathy, it should take you to the site of the image you clicked on. I love Amazing Grace, thank you. Yvonne you always find the most fabulous items!! I would be thrilled to receive any one or two of them!! I have worn Amazing Grace since it first came out. Glad you love it too! It is a wonderful fragrance! Me too! My phone is in bad shape and I will probably have to get a new one. My new phone will have a pretty cover for sure! I can’t seem to find the gift guide. I have clicked on numerous things with no luck!? Hi Peggy. Click on the picture and it will take you to the correct site. Which picture? I have clicked on everything. 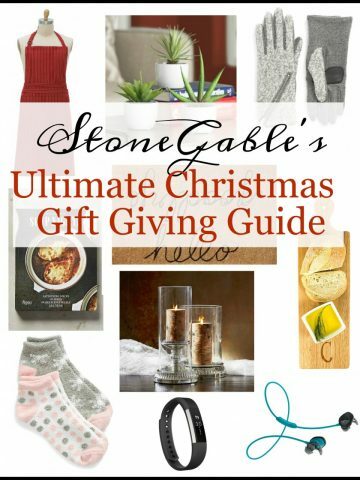 I noticed several readers had the same problem with the gift idea list as I’m having. There is no list in the post. A couple ideas are discussed, but there are no pictures to click on, except for advertisements and an image for your podcast. Hoping to see the full list soon. ? Gosh, I’m not sure what’s going on! So sorry! Mothers Dat will be here before we know it. Great ideas. Can’t see where to click for the list? Click on the picture, the link will direct you to the site. Great gift ideas!! I spy a few things I’d like to receive as well. Thanks! !